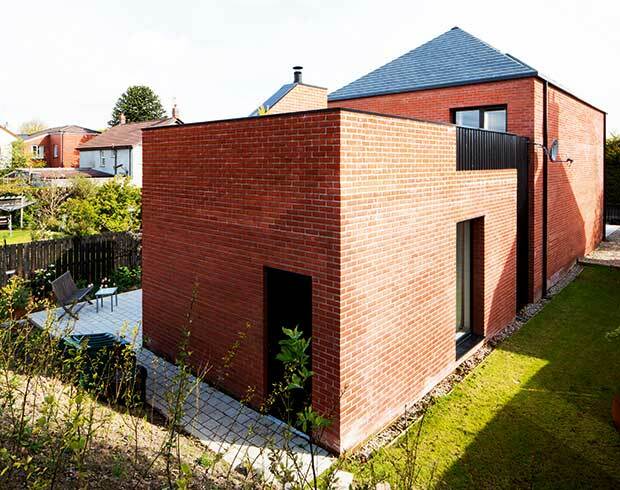 Sitting at the end of their own garden, the resulting house in the suburbs of Belfast pays homage to the local vernacular, whilst embracing modern design. The home was designed by their son Darran, who paid close attention to his parents’ needs. Built to a high standard of energy efficiency, emphasis has been placed on reducing energy need, rather than kitting it out with the latest renewable energy systems. Alex and Ffiona secured outline planning permission for the plot at the end of their garden in 1992 and had 20 years to mentally devise a design. They had lived in the family home for 25 years, and using land on their suburban plot in Belfast meant they didn’t have to completely up sticks. Darran wanted to put the needs of his parents over ambitions for his practice, as the point of the build was to create a home to suit their retirement. To align with this the level access and lack of steps can accommodate for mobility issues. A connected garage also means that provision for a ground floor en suite bedroom has been factored in. In keeping with future-proofing the design, Darran had to ensure the home had a high level of thermal efficiency to keep heating costs down. To create an energy-efficient structure, Darran chose an aerated and medium density concrete block frame under a brick skin. The concrete form is very cheap and the 150mm cavity wall construction means the house looses heat very slowly — especially since the baffle ties used prevent heat from crossing the cavity. Platinum bead insulation has also been specified. The exterior has been designed to mimic, rather than replicate the style of the surrounding red brick buildings. 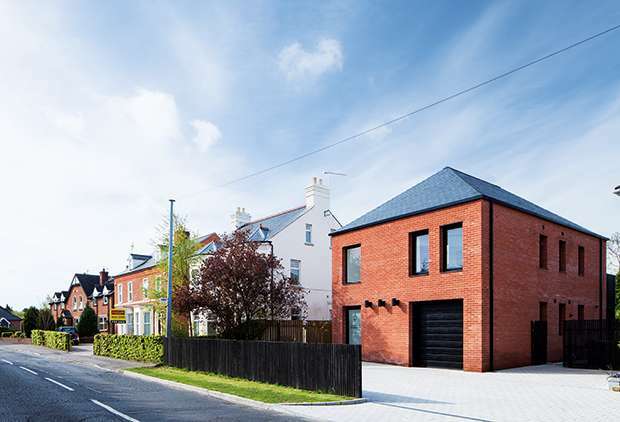 Its form follows the streetline of the pitched roofed detached homes surrounding it. 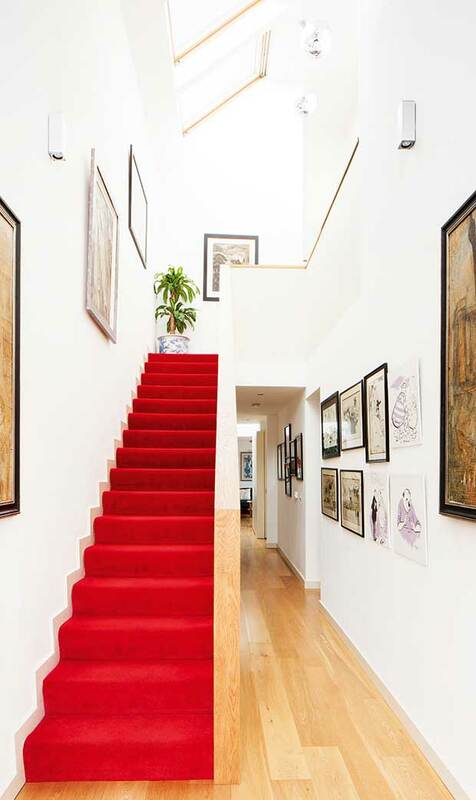 A dramatic triple height entry hall welcomes you into the home, with circulation spaces from here acting as a gallery for Alex’s art collection. The kitchen is the hub of the house and opens out onto the ground floor living areas. They have adopted a semi-open-plan layout downstairs with large doors which can close areas off for cosiness. Precast concrete stairs lead the way to the first floor which has three bedrooms and two en-suite bathrooms. The argon-filled rooflights above the landing trap sunlight and act as a passive ventilation system. A south-west facing roof terrace can be accessed from the first floor and provides a sunny place to relax. The interiors have been pared back for a streamlined feel injected with their personalities. 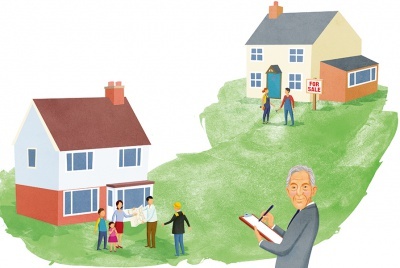 The antiques the couple had accumulated in their old home, did not fit into the new modern scheme, so they were sold. 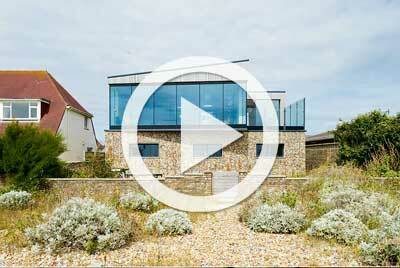 The house is modern and slightly unusual, but as it follows the streetline the planners were happy to grant approval. 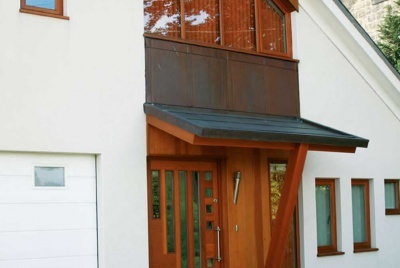 A thermally efficient design was a good starting point so Darran did not have to fill the house with sustainable technology. Underfloor heating means the house can be heated evenly and quickly, and they have found that having the heating on for three hours in the morning keeps it warm throughout the day. A top-spec boiler has been fitted to power this system and heat water, but Darran has allowed for solar panels to be fitted to the south-west facing roof at some point in the future. Sunlight already plays its part, heating the back of the house and flooding the house with light through the floor-to-ceiling windows. 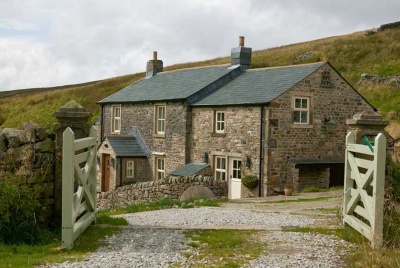 The process was incident free, and living at just the other end of the garden, they could easily pop down to take a look and check in with their builder, Jonathan. As a result, the couple found the 10 month build surprisingly enjoyable.